One of my favorite summertime activities is visiting the farmer's market and picking up some fresh, locally grown produce. Overland Park has the best farmer's market in Kansas and I've been meeting friends there (+ coffee) every Wednesday morning for about four years now. I love buying and prepping veggies that I don't buy on a regular basis (okra and brussel sprouts, for instance). 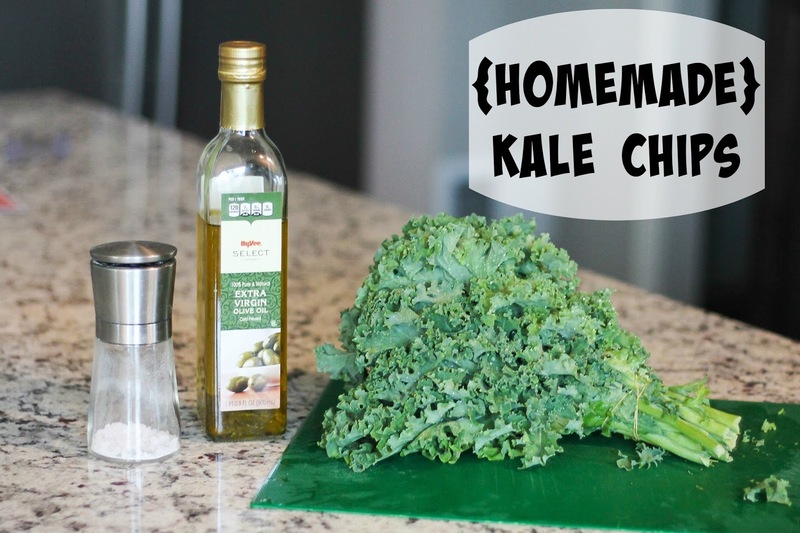 A couple of years ago, per recommendation from our daycare provider, I picked up a bunch of kale, took it home, and turned it into some delicious, crunchy, salty kale chips. At only $2 a bunch, they are cheaper than potato chips and healthy, too! Bonus: they are quick and easy to prepare! 2. 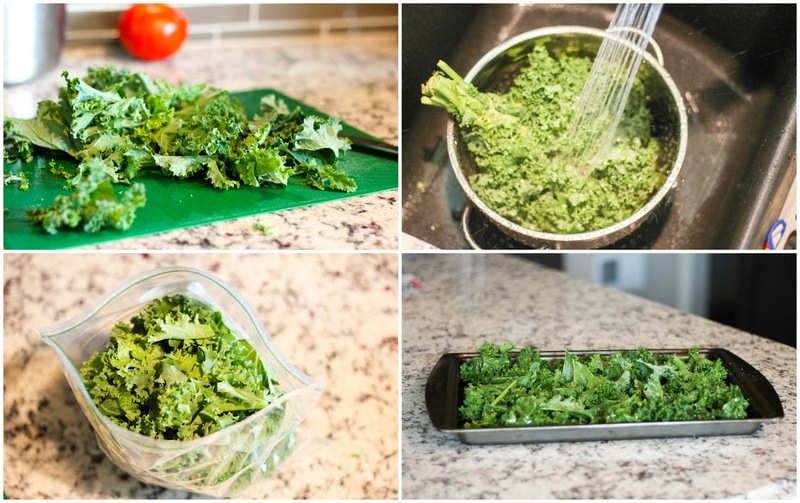 Wash the kale and cut (or tear) into small potato-chip size pieces, discarding the thick stems. 3. Throw pieces of kale into a gallon-size Ziploc baggie and dump in some olive oil (1 to 2 tablespoons?). Close the baggie and shake to evenly distribute olive oil. 4. 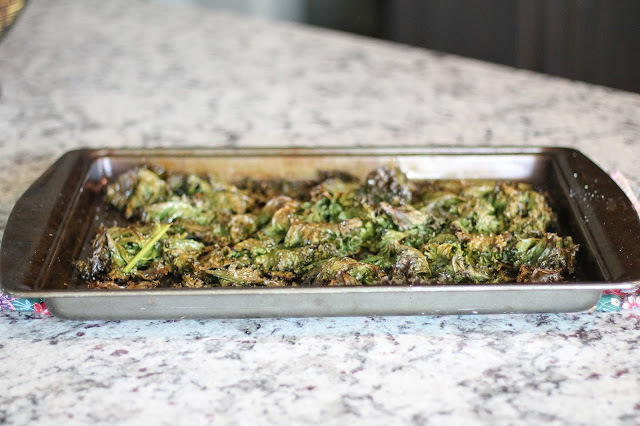 Dump kale pieces onto a baking sheet, spread into a single layer, sprinkle with salt. 5. Roast in oven at 400 degrees for 12 to 15 minutes or until light brown and crispy. Here's what the finished product should look like! I have been wanting to try to make these for a few years now. People seem to love them!